Delton Kellogg is proud of their native landscaping as part of a green commitment. They have maintained large areas of wetland, open water, deciduous forest, and successional fields. This area includes a nature trail that is used for students to learn about wetland ecology; with this and schoolyard ecology plots they use in science classes, they encourage their students to collaborate with other student scientists to do real scientific research. They hope that integration of both solar and wind energy projects in the school building will help allow for a greater green energy production. 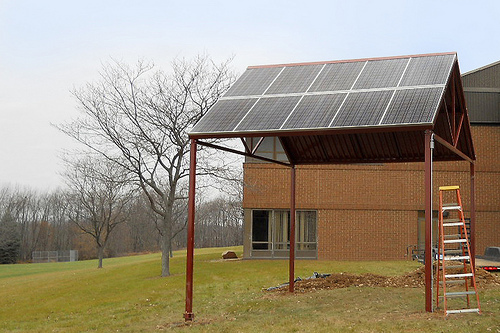 Since monitoring began 11/24/2010, this system has generated 11,585 kilowatt hours of clean energy.